Want to help the runner you love (or yourself) reach their next level this Christmas? OK, so sure, here’s a shameless plug…. but hey, its 11 bucks at amazon, and Santa will have it under your tree or in your stocking by the time you wake up on the 25th. To all of you who have bought the book, thank you! And to those that haven’t, the gift of knowledge is keeps on giving. Merry Reading, and Merry Christmas Everyone! This entry was posted in rehab, running, triathlon and tagged Anatomy for Runners, bend, christmas, Dicharry, exercises, foot, gait analysis, overuse injury, rebound physical therapy, REP Lab, running gait on December 19, 2014 by an athlete's body. Does anyone else live in a bubble where time-zones tick by as fast as minutes? Last night I got back home from one trip, unpacked, repacked, and flew off again this morning….traveling can be tough on our routines, and unfortunately, wreak havoc on our athletic efforts. Let’s face it, on some trips we have hours on end to utilize the high end gym (that is likely nicer than the one you have at home!). But for most of the time, it’s a pulley machine, a swiss ball, and a treadmill stuck in a standard sized hotel room masquerading as a “gym”. Not really an ideal environment to push the limits. And on top of limited equipment, you likely only have about 30 min between answering emails from your “regular work” on top of everything else demanding time on your trip. So how do you maintain your benefits of your weight work while facing the demands of traveling? Its easy to say – OK – no weights, I’ll just go for an easy run. No harm in this at all. But for those of you really dedicated to making gains while on the road, there is a will, and a way. Take a look again at the previous post on ways to improve your neuromuscular recruitment. If the weight room isn’t set up to help you kickstart those fast twitch fibers, hitting some local hills, or even doing sprints in the parking lot go a long way. But remember, the goal of these is to go HARD. Really hard. As hard as you are working on the last few reps in the weight room. And to go that hard, it means you have to rest between intervals. For those of you who think that rest is only for the weak, let’s look at what sprinters do. People who run hard for a living (sprinters) take approximately 1 full minute easy for each 10 meters they run. So yes, a 30 meter sprint means 3 minutes rest before the next one. And keep the durations short. Intervals over 40 meters aren’t helpful. And while sprinting hills is really tough, the effort should still be quite high and be limited to less than 20 seconds of effort. Throw your shoes on, hit a short easy run, some dynamic warm-up moves, and then hit some intense hills or sprints. Jump in the shower, and get back to travel life……knowing you did something for yourself before the day even started. This entry was posted in rehab, running, triathlon and tagged Anatomy for Runners, Dicharry, endurance, gait analysis, hill intervals, injury, jay dicharry, rebound physical therapy, rehab, REP Lab, Running injury barefoot minimalist, sprinting, UVA Running Medicine, UVA SPEED Clinic, weight lifting on December 3, 2014 by an athlete's body. 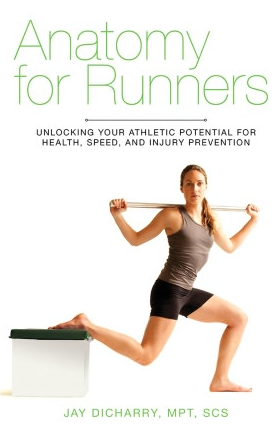 Calling all Doc’s, therapists, and trainers (and yes you super guru runners)! Join your’s truly and Robert Gillanders on October 18th and 19th in beautiful Carmel, California for an amazing installment of Healthy Running! This course was created by myself, Dr. Mark Cucuzzella, and Ian Adamson to be the premier running medical education resource for clinicians. We’ve taken the research, and distilled it down to its essential didactic components, so that you’ve got answers when your patients ask you for help. And we’ve got big blocks of lab time to practice hands-on evaluation techniques, injury treatments, gait analysis, shoe prescription, and exercise prescription. You’ll not only sharpen your clinical through process, you’ll be comfortable applying our framework to your patients on the first day back in the office….and yes, you’ll likely learn a thing or two to help yourself! Our mission is simple – every patient – from weekend warriors, to the professionals that frequent my clinic – deserves the highest level of clinical care. We want to share our approach with you, to help you and your patients achieve success! Click the link for registration, and see you in Carmel! This entry was posted in Uncategorized and tagged Anatomy for Runners, Carmel, gait analysis, Healthy Running, Iam Adamson, mark cucuzzella, running education, running form on October 2, 2014 by an athlete's body. Check out the work we’ve been doing with Linsey Corbin over last year. Very much looking forward to a super fun day on Oct 11th on the Big Island!!! This entry was posted in cycling, running, triathlon and tagged Anatomy for Runners, bend, bike fit, cycling, Dicharry, gait analysis, Ironman, linsey Corbin, running, strength training, triathlon on October 1, 2014 by an athlete's body. So, you read the “4 exercises every runner should do this month!” in Runner’s World. You even like the 6-pack abs you see on the cover. You wonder how many miles you have to run before yours pop out like that too? Your best friend challenged you to sign up for a 10K in a few months. And your trip to the running store left you so confused on what to buy that you are thinking about just wearing the beater shoes you use to cut grass. Getting Started With Running: Choosing shoes, prepping the body, and more! This entry was posted in rehab, running and tagged Anatomy for Runners, barefoot running, Dicharry, endurance, healthynomics, injury, rebound physical therapy, REP Lab, REP Tri Camp, Running injury barefoot minimalist, running shoes, shin splints, triathlon, UVA SPEED Clinic on September 16, 2014 by an athlete's body. OK…..most of you are going to have a field day with this blog post, so let’s just get it out there. Barefoot running came in a BIG way. And like most BIG things that come quickly, its fading at a rapid rate. A lot of people think barefoot runners are nuts, and begging for injury. And others think that the injury risk is the same as those who wear shoes, but the location of injury in the body will just move from one to another. Well, I’m not really a fan of speculation. Some years ago, I put out a survey to barefoot runners with some simple questions. How much to you run barefoot? Why did you go down this path? Did barefoot running impact your injury risk or performance? Over 500 runners responded. Thank you interweb. To be 100% forthcoming, the study is biased towards runners who have actually tried barefoot running (not minimal footwear, but true barefoot). Duh, you had to have experience running barefoot to answer the questions! Barefoot runners are a passionate bunch, but we made the default assumption that people tell the truth. And yes, its just a survey. But it provides an interesting slant. Instead of wondering if barefoot running works, why not just ask people who do it? 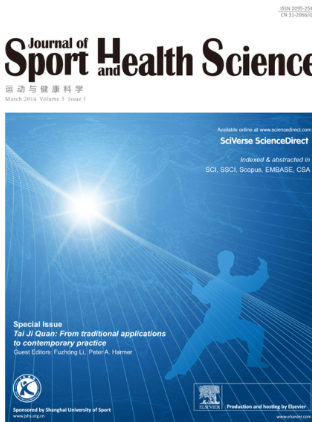 This study, “Barefoot Running: Evidence from the Field” was just published in the Journal of Sport and Health Science, and you can get a full download right here. And for those of you who just want the simple version, the abstract is below. Now I’m not saying that all of you should ditch your shoes for 100% of your mileage. But this idea of barefoot running supports a very critical concept. Feet are capable of some pretty good work. Barefoot running, when done in the right volume and circumstances, can be a great training tool to help you build a better body. And no matter what side of the barefoot debate you stand on, putting better bodies into running is a concept we can all get behind. Running is becoming an increasingly popular activity among Americans with over 50 million participants. 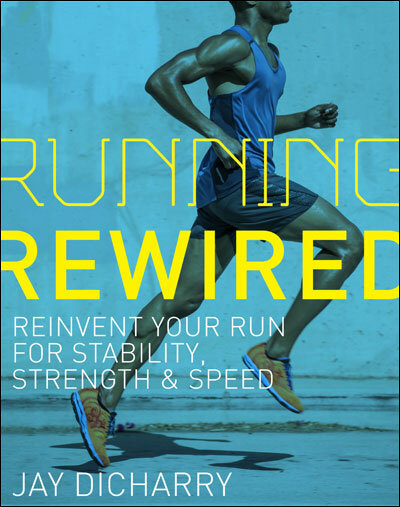 Running shoe research and technology has continued to advance with no decrease in overall running injury rates. A growing group of runners are making the choice to try the minimal or barefoot running styles of the pre-modern running shoe era. There is some evidence of decreased forces and torques on the lower extremities with barefoot running, but no clear data regarding how this corresponds with injuries. The purpose of this survey study was to examine factors related to performance and injury in runners who have tried barefoot running. The University of Virginia Center for Endurance Sport created a 10-question survey regarding barefoot running that was posted on a variety of running blogs and FaceBook pages. Percentages were calculated for each question across all surveys. Five hundred and nine participants responded with over 93% of them incorporating some type of barefoot running into their weekly mileage. A majority of the participants (53%) viewed barefoot running as a training tool to improve specific aspects of their running. However, close to half (46%) viewed barefoot training as a viable alternative to shoes for logging their miles. A large portion of runners initially tried barefoot running due to the promise of improved efficiency (60%), an attempt to get past injury (53%) and/or the recent media hype around the practice (52%). A large majority (68%) of runners participating in the study experienced no new injuries after starting barefoot running. In fact, most respondents (69%) actually had their previous injuries go away after starting barefoot running. Runners responded that their previous knee (46%), foot (19%), ankle (17%), hip (14%), and low back (14%) injuries all proceeded to improve after starting barefoot running. Prior studies have found that barefoot running often changes biomechanics compared to shod running with a hypothesized relationship of decreased injuries. This paper reports the result of a survey of 509 runners. 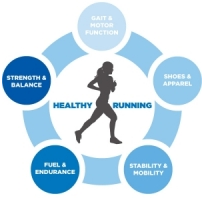 The results suggest that a large percentage of this sample of runners experienced benefits or no serious harm from transitioning to barefoot or minimal shoe running. This entry was posted in rehab, running, triathlon, Uncategorized and tagged Anatomy for Runners, barefoot running, Dicharry, endurance, gait analysis, injury, rebound physical therapy, REP Lab, Running injury barefoot minimalist, shin splints, speed clinic, UVA Running Medicine, UVA SPEED Clinic on May 16, 2014 by an athlete's body.